Time Tracking Software – Your Questions Answered! We get loads of questions regarding workforce management software – many of those questions are related to time tracking software. Here are three of the most commonly asked time tracking questions, answered. If your question isn’t here then contact us and we will be happy to answer any queries you have regarding time tracking or anything else to do with staff management. How can time tracking software minimise compliance risk for business owners? For ‘time tracking’ software to really be effective it needs to be a fully integrated solution that handles rosters/scheduling, time & attendance, and award interpretation. It’s really the combination of these areas that allows a business to minimise compliance risk in the three key area’s: scheduling compliance, payroll compliance and auditing compliance. Scheduling compliance is about ensuring that an organisation has the right person at the right place at the right time. This typically includes ensuring conditions are met such as skills, qualifications, certifications, as well as employee conditions such as availability, leave, OH&S requirements, etc. Payroll compliance is ensuring the organisation meets the minimum award pay arrangements within that country, for Australia this is the industry award system maintained by Fair Work Australia. The Australian award system is one of the most complicated systems in the world so very sophisticated technology is required to handle the complexity of most Australian awards. This is an area that easyemployer has specialised in for over 10 years now. Auditing compliance is around ensuring that all situations and changes are tracked so post reporting can be completed correctly. This is essential for any organisation as accurate record keeping is one of the fundamentals of compliance. In Australia all records need to be kept for at least 7 years. How can time tracking software allow business owners to have more accurate forecasting? Again if time tracking software encompasses both rosters/scheduling and powerful award interpretation, this is where accurate forecasting can be achieved. For example, within easyemployer the powerful award interpretation engine is also the mechanism that forecasts future costs for the business. This means that when creating future rosters/schedules, the managers/owners can get a 100% accurate gross wages projection of labour for that period, broken down to either week, fortnight, day, employee or per shift. Getting an idea of your labour costs right at the start of the process (rostering) means you are in full control of your labour costs. 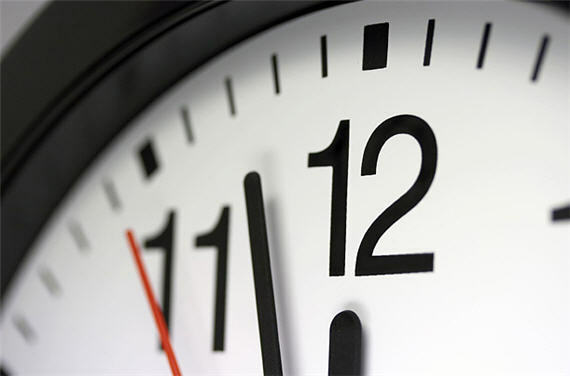 Time tracking alone can be used to retrospectively look through past data to try to forecast the need for certain numbers of staff at certain days/times of the year – but without the added knowledge of if those times tracked were adequate for coping with demand at those times it’s not that useful for directing how to staff the business in the future. It really just tells a story of how many people you had on but not whether that was adequate for running the business. When time tracking is coupled with rostering data you can look back through and see how many staff you rostered – and how many staff actually worked and then you start to see the differences that will help with forecasting staffing requirements in the future. i.e.perhaps on a given day you called in two extra people to help with demand – they clocked but they weren’t on the original roster. Or perhaps you rostered 8 people on and then sent 2 staff home early – comparing roster v clocked data will help you see that you rostered too many people on for that day. How can time tracking software help business owners control labour costs? Effective rosters/scheduling. Using past patterns for outcomes for an organisation combined with accurate cost projection features means an organisation can create the most cost effective roster whilst also meeting business and employee needs. Accurate time & attendance clocking. Through means of biometric or mobile clocking, businesses can capture the exact working times and breaks of staff. This approach eliminates what is often known as ‘time creep’. An example of ‘time creep’ is when an employee comes to work 10 minutes late for their shift but this is not reflected on their timesheet. This is 10 minutes of pay for the business when there was no productivity from the employee. If you take average wages of just 5 minutes of time creep per employee per day (and this is conservative) for just 20 employees amounts to over $40,000 per year! Actual to scheduled restrictions. There is more benefit to controlling labour costs than just capturing times worked. Additional value is realised when those times are compared to the initial rostered times to pick up on any potential wage blowouts. An example might be an employee who comes to work 10 minutes early for their shift – in most businesses this time is not to be paid for. By restricting times back to the rostered times, and providing managers with tools to action these situations, businesses can gain further labour cost control. Accurate award interpretation. It is far too common how many mistakes organisations make with payroll. Human processed activities have an above 60% average error rate. (International Conference on Engineering, 2004, Virginia, USA) . These can be underpayments, meaning the organisation is potentially liable for fines as well as making up the missing payment amounts, or overpayments, meaning excess wages were paid when unnecessary, much of this which can never be retrieved. As such, having accurate and compliant award interpretation software, with as little process workarounds as possible (as this reduces risk) is imperative to helping business owners control labour costs. Being in the workforce management industry for over 10 years, easyemployer has built a reputation for the most encompassing and automated award interpretation that is possible, through the combination of powerful state of the art cloud software and experienced specialist services in process automation within workforce management and payroll. An example of the types of labour savings that can be achieved by using a technology solution to manage staff: our clients are saving up to 12% of their annual labour costs using easyemployer. organisations automate their workforce clocking. time & attendance, award interpretation, payroll, billing and more… then contact us.